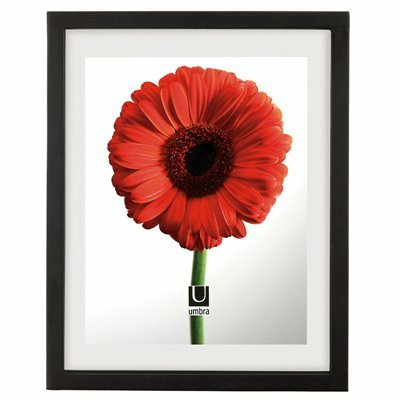 One of Umbra's most popular items, the Document frame's sleek finish and classic design is the ideal solution for both protecting and celebrating your 9" by 11" certificates or photos. You can also "float" an 8" x 10" document. This frame has a black finish with two pieces of glass that holds your document or picture. Available in various finishes. Perfect for home or office! Umbra is the worldwide leader in casual, contemporary and affordable design for the home.